This new Norton Critical Edition of Hawthorne’s innovative 1852 novel helps readers navigate and appreciate its elusive plot, powerful characters, and maddening narrator. 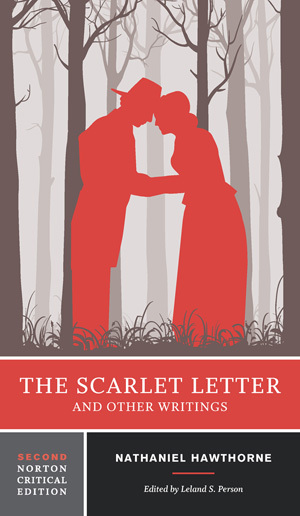 Nathaniel Hawthorne’s best-loved tales are now available in a revised Norton Critical Edition. This perennially popular Norton Critical Edition has been revised to reflect the most current scholarly approaches to The Scarlet Letter—Hawthorne’s most widely read novel—as well as to the five short prose works—“Mrs. Hutchinson,” “Endicott and the Red Cross,” “Young Goodman Brown,” “The Minister’s Black Veil,” and “The Birth-mark”—that closely relate to the 1850 novel. · Revised and expanded explanatory footnotes, a new preface, and a note on the text by Leland S. Person. · Seven new critical essays by Brook Thomas, Michael Ryan, Thomas R. Mitchell, Jay Grossman, Jamie Barlowe, John Ronan, and John F. Birk. · A Chronology and revised and expanded Selected Bibliography.